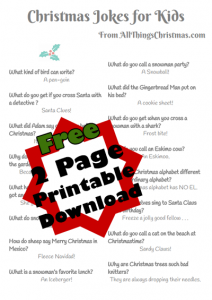 If you’re looking for some of the best Christmas Jokes, we have made a fantastic downloadable sheet with 30+ funny and family-friendly Christmas Jokes for kids. See a few examples below, and download our free printable jokes sheet, too! 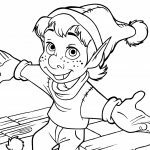 These simple jokes make excellent Christmas Riddles for kids, and are fun for children of all ages. Sharing a Funny Christmas Joke or two, or Christmas Cracker Jokes is one of the best ways to spread cheer over Christmas. We have put together some of our Best Christmas Jokes, wonderful appropriate Christmas Jokes for Kids, and Funny Christmas jokes that even adults will like. 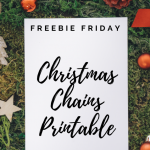 Enjoy our free printable download! What do you get if you cross Santa with a detective? Because he had the drum sticks. What do you when if you cross an apple with a Christmas tree?